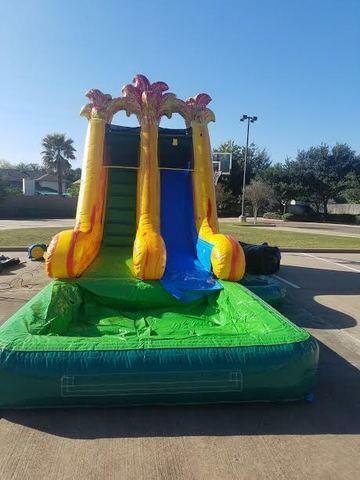 This 16ft water slide moonwalk will keep the party going and going. The smallest party guests as well as adults will enjoy this unit. It is very fast so be ready for lots of fun!